Brazilian Agate Geode Bookend 5"
Home | GEMS | Brazilian Agate Geode Bookend 5"
Get the gorgeous beauty of stone with the Natural Agate Bookend. The crystal-like design will make you want to reach out for the book you've been wanting to read. The natural cut and look of this bookend gives any room decor a graceful touch. * Size: 5" x 3.5"
The power of agate gemstone to the ancient Chinese was more internal. 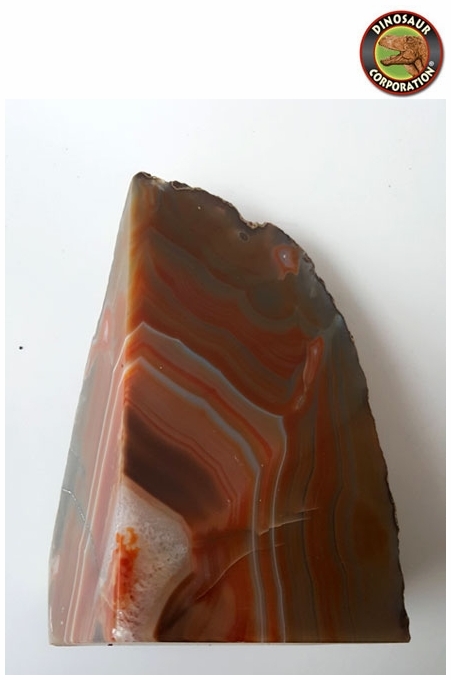 They believed that agate crystal meaning was one of spiritual protection, and could stimulate one's life force while cleansing their mind to make space for good luck and fortune.